This set includes 1 x revolving velour clothes brush & 1 x lint sticky roller with 7m roll. 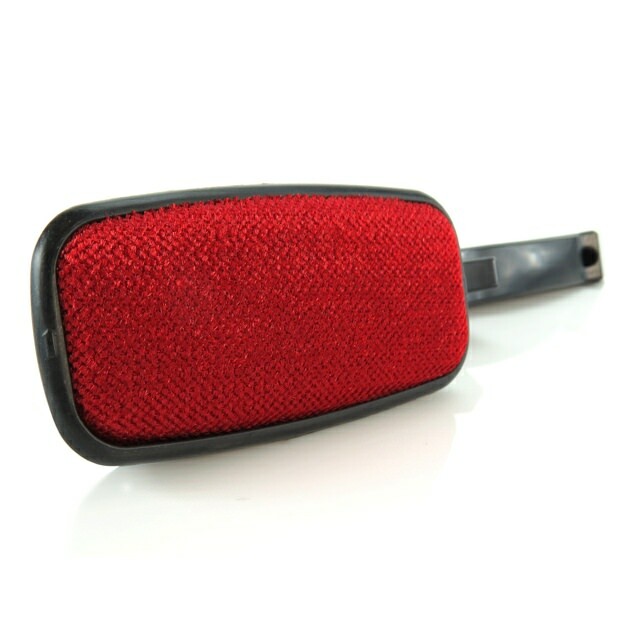 The reusable velour lint brush is efficient and easy to use. The rotating head spins 180 degrees for directional brushing. The lint sticky roller comes with 7 metre roll. End clips for easily adding refill rolls. Easily removes lint, fibres, fluff & hair. Effective on clothes, carpets, furniture, car seats, pet areas etc. Perfect for keeping your suits & other garments looking smart. Velour Brush: Length 11 cm long (25cm with handle) approx. Lint Roller: Length 11cm long (22cm with handle) approx.